Every doting cat owner will attest to the innate intelligence of their beloved pet, and now Japanese scientists say they have evidence that felines have a rudimentary grasp of cause and effect. They described their results in a new paper in Animal Cognition. “Cats use a causal-logical understanding of noise or sounds to predict the appearance of invisible objects,” lead author Saho Takagi of Kyoto University said in a statement. Past studies have shown that hearing may dominate vision in cats. 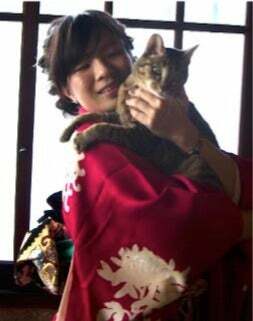 Takagi co-authored a study last year demonstrating that cats use their keen sense of hearing to infer the presence of an object even when they can’t see it. That conclusion was based on the fact that cats in the earlier study looked at a container longer when it rattled when being shaken. But there was still the possibility that visual and other environmental cues were skewing the results. So Takagi designed a new study to remedy that. The latest experiment involved 30 domestic cats, most housed in “cat cafes” (a trend now spreading across the globe), along with eight house cats whose owners volunteered their services. Each cat was taken to a private room in a familiar setting—either their cat cafe, or a private home—and one of the researchers (or cat owner in the case of private pets) held the cat in place for the experiment. Then one of the scientists shook a plastic container containing an object made of three iron balls in front of the cat. Sometimes there was a rattling sound, sometimes there was not, thanks to a switch-controlled electromagnet that, when pressed, caused the iron object to stick to a stainless steel plate at the top of the container. When the container was turned over, sometimes the object fell out, and sometimes it didn’t (thanks to that handy electromagnetic switch). The cat’s reaction was videotaped as it was then allowed to freely explore its environment. There were four experimental conditions: a rattling sound where an object fell out of the container, a rattling sound where no object fell out, no rattle and no object, and no rattle and an object falling out. The results: All the cats were most interested in containers that rattled. But they also spent more time watching those containers that did not conform to the usual laws of cause and effect (a rattle but no object, and no rattle with an object). For Takagi, this suggests the cats use sound to predict whether an object would fall out when the container was turned over, and puzzled over the incongruity when the conditions didn’t match that causal logic. Why would cats have developed a rudimentary causal reasoning based on sound cues, in contrast to, say, great apes, who seem to rely heavily on visual cues? Takagi et al. argue that the development of such a cognitive ability makes sense because cats need to be able to detect the presence of prey while hunting in environments where visibility is limited. “These ecological restrictions may promote formation of representations of unseen objects from their noises,” the authors write.